PRITCHETT's M&A training programs are field-originated and field-tested. They have been developed out of actual client assignments. As a result, they have the authentic quality that comes from surviving trial by fire. We have consulted with top executives on many of the most successful mergers in history. And we have trained more people in M&A best practices than any other organization. Our M&A training has been delivered to over 30,000 professionals in 24 different languages in 50 different countries. 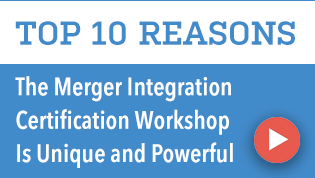 In the 5-day M&A Integration Certification Workshop, participants learn PRITCHETT's proven step-by-step approach for planning and running fast, effective integrations. Our methodology is neither too simple nor too complex. It is precisely what acquirers need to minimize risks and optimize results. 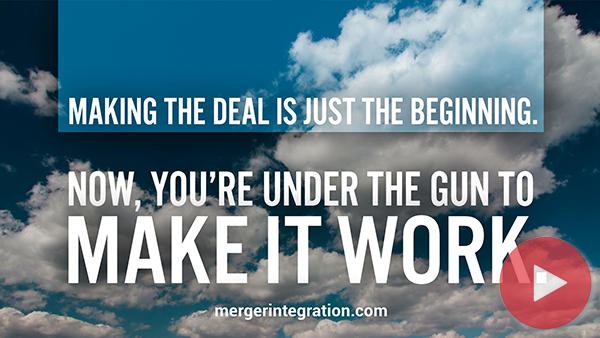 Uncertainty usually triggers costly problems well before the deal is done. If unaddressed, uncertainty can damage productivity, quality, customer service, talent retention, and, ultimately, profitability. Sometimes it even dooms the chances for a successful deal. The Managing Uncertainty in M&A Workshop helps protect the performance of merging companies during the vulnerable "hang time" between when the merger is announced and integration decisions are finalized after close.